More than 4 million Americans admit they have driven while intoxicated at least once in the past month, a new government study finds. The typical drunk driver is a young male with a history of binge drinking. About 4.2 million people—close to 2 percent of American adults—admitted to driving drunk in the prior month, HealthDay reports. Alcohol-impaired driving crashes account for about one-third of all U.S. crash deaths in the past two decades, according to the Centers for Disease Control and Prevention (CDC). There are an estimated 121 million episodes of drunk driving annually, the CDC noted in its report. The study found people in the Midwest consistently report higher alcohol-impaired driving rates than those living in other regions. Men ages 21 to 34 accounted for one-third of drunk driving episodes. 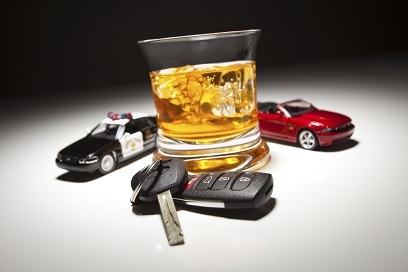 Overall, men accounted for 80 percent of impaired drivers, the article notes. The CDC researchers found 4 percent of adults are binge drinkers—men who have five or more drinks on one occasion, or women who have four or more drinks on one occasion. Binge drinkers account for nearly two-thirds of all drunk driving incidents. People who say they sometimes do not wear a seatbelt were three times more likely to drive drunk, compared with adults who generally buckle up. The researchers said states and communities can take steps to reduce drunk driving. These include expanding the use of publicized sobriety checkpoints; enforcing breath alcohol laws and minimum legal drinking age laws; and increasing alcohol taxes. The CDC also recommends requiring ignition interlocks, which are breath-test devices connected to a vehicle’s ignition. They require a driver to exhale into the device, and prevent the engine from being started if the analyzed result exceeds a preprogrammed level for anyone convicted of alcohol-impaired driving.